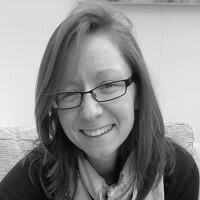 Both the UK’s Medicines and Healthcare Products Regulatory Agency (MHRA) and the European Medicines Agency (EMA) launched new initiatives aimed at achieving earlier access to promising new medicines a year ago. What’s happened since then? The Early Access to Medicines Scheme (EAMS), launched in April 2014, is a voluntary scheme for companies who have a product to treat life-threatening or seriously debilitating conditions but don’t yet have a marketing authorisation (MA). The idea is that MHRA can bring an earlier opinion on the product, based on early evidence, and provide advice to support clinicians and patients who might want to try it before it’s been formally given the thumbs up. EAMS has two stages with the regulator: a Promising Innovative Medicine (PIM) designation that must be in place before progress to the Early Access to Medicines scientific opinion. Both of these stages are confidential; but companies can choose to share the news if it’s positive. In fact, it’s so confidential that the MHRA won’t even reveal the number of applications. Funding is, however, a controversial issue; as it stands companies will provide their product at no charge to the NHS during the EAMS period and they also have to pay to apply for the PIM and the later positive scientific opinion plus an annual renewal if appropriate. • Novartis’ investigational medicine for heart failure with reduced ejection fraction LCZ 696 (sacubitril/valsratn) in April 2015. 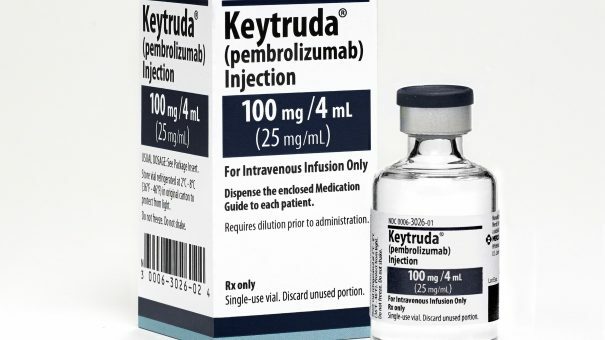 These are the ones that are in the public domain – plus Keytruda (pembrolizumab), discussed below, as it has the first full positive EAMS scientific opinion and you can’t get one of those without the PIM. (If you’ve seen another, though, let us know). So far, only one product has progressed to a positive EAMS scientific opinion, MSD’s Keytruda (pembrolizumab). Keytruda is used to treat advanced melanona. The EAMS covers treatment with Keytruda after other treatments such as ipilimumab have failed. MSD has secured the positive opinion based on a trial in 411 patients where benefit of treatment included shrinking of the tumour and slower progression of the disease. The Public Assessment Report (a very easy to read and short document of just three pages) from MHRA notes that 60 per cent of the 173 patients who failed previous therapy survived for at least one year. They also note the risks, with side effects such as fatigue, cough, nausea, rash and others affecting 20 per cent of patients. With a Risk Management Plan in place, MHRA concludes that the benefits are likely to outweigh the risks, based on evidence available in March 2015. People have asked why the first PIM hasn’t moved on to the positive scientific opinion under EAMS. It’s hard to know; companies can ask for more time before progressing, which might be the right decision depending on the data and when more mature data will be available. They are not even obliged to take the next step; which might make sense depending on how their data are looking and how quickly they might be able to move to formal licensing in any case, especially as that would mean patient access and a revenue stream. Plus, it is not necessarily the case that a PIM will go on to become a positive scientific opinion as quite a bit rides on there being ‘good enough’ data to take a decision about benefits vs risks. These are judgement calls; the MHRA will (rightly) want to exercise due diligence. The EMA launched its adaptive licensing (AL) pilot in March 2014. As with EAMS, the idea is to speed up access for products that treat serious conditions with unmet medical need. By December 2014, EMA changed the name from adaptive licensing to adaptive pathways (AP) to signal the ‘life span’ approach: from development all the way through to use in practice. AP includes two models; starting with a small patient population and building from there, or an early ‘conditional’ approval (not to be confused with the existing conditional MA). The pilot is confidential but is wide ranging; patients and Health Technology Assessment (HTA) agencies are all invited to take part. Just as for EAMS, it’s voluntary for companies to take part. By December 2014 companies had put 34 products in for consideration under Stage I – involving providing a host of information on the product and stage of development. Of those, 10 are potentially moving to Stage II – where EMA will talk to companies in more detail about the product. Those discussions will include proposals for real-world data collection. So far, it seems everyone has kept the details confidential as only the highest level information is available on both applications and those products moving on to Stage II. Applications included six advanced therapy medicinal products (ATMPs), 12 orphan products, and 14 were anti-cancers. A total of 11 applications came from SMEs, so it’s the big companies who seem keen to embrace the pilot experience. Those applications were whittled down for Stage I discussion: five of those were orphans, two ATMPs, and four from SMEs. Of these, six are going forward for a Stage II meeting, with the other four improving their submission or going for scientific advice or parallel scientific advice with HTA advice. It is quite hard to know if these schemes are leading to faster access for those products going through EAMS at the moment. Merck (as MSD is known in the US and Canada) has an expanded access programme in place for Keytruda in any case; that means that 3,500 patients across 40 countries have had early access anyway. But what Merck has now is backing for early use from a prestigious regulator and hopefully more confident prescribing clinicians, plus the chance to learn from real-world use which could mean greater access than there would otherwise have been. BMS’ Opdivo was given a positive opinion by the Committee for Medicinal Products for Human Use (CHMP) at the EMA on 24 April 2015, so a full MA should not be too far away. Similarly, Novartis’ Zykadia received a positive opinion from the CHMP on 26 February 2015. It’s also important to take a long-term perspective; it can take a decade or more to bring a product to market – and for it to be accessed by patients – so we should give both EAMS and AP more time to be explored and see if they can knock even six months off of that timescale.